Dress, SWAK Designs c/o Gwynnie Bee; Shirt, Mynt 1792 c/o Madison Plus Select. This isn't the post I originally envisioned. I wanted to go out into the country and shoot this SWAK Designs maxi dress in a wide-opened field with white picket fences. However, this ridiculous heatwave prevented that from happening. High heat + my oily skin = fat girl excessively sweating in bad outfit photos. Instead of dying in the heat, I opted for shooting in my air conditioned office/closet. Best decision ever. 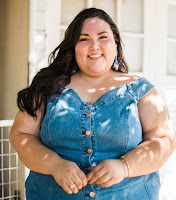 Not only was I out of the 110 degree weather, I was near my new Mynt 1792 chambray shirt that inspired me to style the maxi dress two ways. 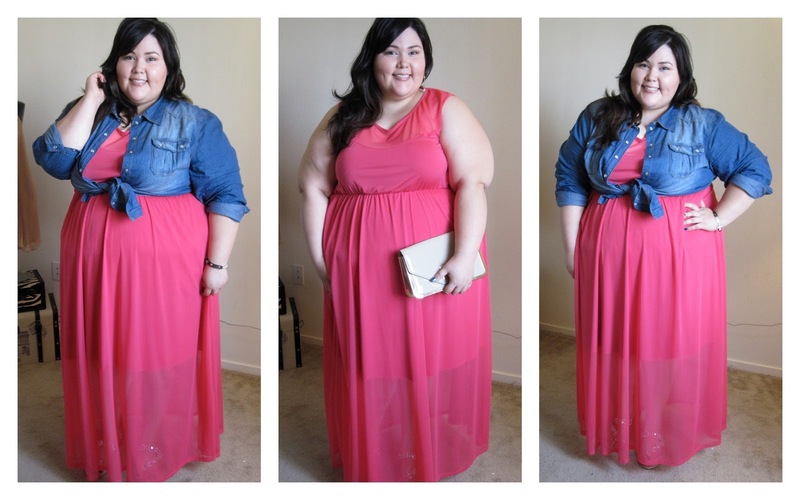 The first look (center photo) is the usual way I'd wear a maxi dress. With minimal accessories, the dress can stand out as the focus of the outfit. The second look is something totally new for me. I tied the chambray shirt over the dress and added a brown leather bracelet and cross body bag (that I forgot to photograph *doh*). I love the contrast of the blue and fuchsia and the better defined high-waist. So, there you have it! Two easy ways to wear a maxi dress this summer. Also known as: two ways to get more wear from your summer wardrobe. Happy styling! P.S. Yay for trying new designers! This was my first time wearing SWAK Designs (via Gwynnie Bee) and Mynt 1792 (via Madison Plus Select). I am so impressed with the quality of both items and can't wait to try out more from both brands.